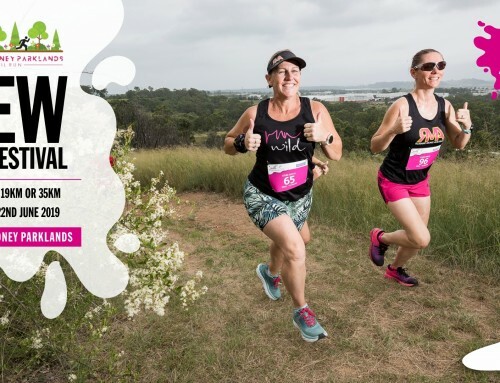 When I heard about this event and then noted that it was in May just a few days before my birthday I thought that there could be no better way to well celebrate than by completing an Ultra Marathon in Western Australia’s famous wine region. I am finally finding my previous form. It’s been a really challenging 2 ½ years negotiating my way through Breast Cancer treatment. I turned a corner in February and I continue to build from there. While I’ve kept running, training hard and racing and had some good performances they fell short of my expectations. It’s been hard to live up to my reputation but it was certainly nice to still be considered a heavyweight on the trail running scene as mentioned by Ultra 168. I’m not quite back to where I was but this race was certainly a stepping stone and there is more to come. I’ve really really appreciated the support of the Running Mums. Every time I find the going tough whether it by when I am training or racing I think of you all and the overwhelming love and support we have for each other. Here’s my account of last weekends adventure in the Wild Wild West. Race morning I was transported to the race start by my sister Bethaney who had agreed to be my crew for the day. Attending to my needs at the checkpoints and finish. I claimed the front seat which has the seat warmers. A car with seat warmers is an ultra runners heaven great on the hamstrings and lower back. My sister Georgia was the first runner in my family’s relay team and she joined me in the shelter of the dunes at Hamlin Bay as we waited to start. It wasn’t long before everyone was called down to the starting arch on the beach and we were away, running up the wooden jetty off the beach at Hamlin Bay and heading along the road an onto the trails. The first section was nicely runnable taking us through the Boranup Forest, we weaved our way along fire trails and some single track which was quite overgrown in places and past a sand mine which gave us our first taste of some soft sand running. I ran through checkpoint 1 at the 10.5km point. It was a relay changeover point only and I still had plenty of supplies. We were treated to more hard packed trails but it was another 18km to checkpoint 2. It was undulataing and relatively fun running. It was also a great chance to see the rest of the field as there was an out and back section into checkpoint 2. 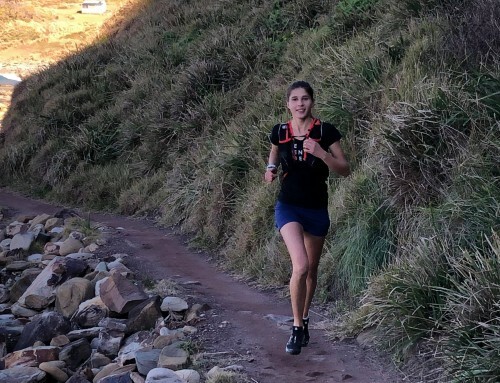 It was a bit of grind up the hill to the checkpoint which we had the pleasure of running down a little later I had passed frontrunner Deb Nichol as I was heading up and gave her a high five and worked out I was perhaps in about the top 10 in the female field. I was not too bothered this was a ‘fun’ run for me. A destination event in places I frequented as a girl. That’s not to say I wouldn’t give it my best. It was 20km from Checkpoint 2 at the Conto Campground to Checkpoint 3 and the start of the sand running and rock hopping. By now the relay runners were regularly running past the solo runners. I find this actually encouraging as you could usually tell they weren’t solo runners as all solo runners had a 2ndsmall bib which you could attach to your back to identify you to those passing you. 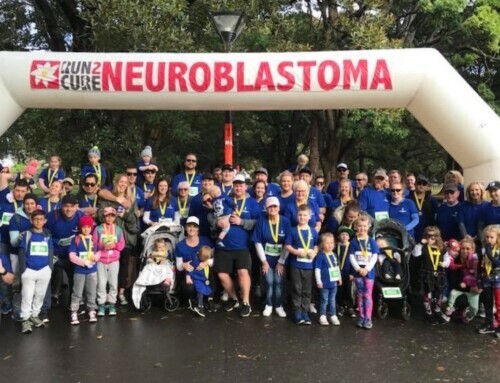 Relay runners were always supportive and it was a real boost to have someone come past using your name and offering encouragement or more often simply in awe. Not long into trail section 3 we hit the beach. Not before scrambling over rocks and having to leap between large granite outcrops over the water. The course marked by trail markers secured to rocks on the rocks. The beach is unrelenting and by now we are approaching the heat of the day. Thankfully there was a water stop. I make my way up the steps from the beach to the carpark and make full use of the water, practically sculling down 500ml before refilling my water bottle again. I had just taken a gel without water and I was really looking forward to a drink of water. I wouldn’t mind a little less soft sand running too. However we are taken off the beach to get over a headland only to have to run along the beach again. Not only do we have to run along a soft sandy beach we also now have a headwind. My shoes fill with sand and this is the main reason my toes are getting sore. I empty it out at checkpoint 3 and 4 but it keeps getting in. Even with gators my shoes seem to fill with sand. My shoes are great for rocky and wet trails but not good at keeping sand out. Nevertheless I soldier on trying to find a place on the beach where the ground is a little firmer but there isn’t so I follow in the footsteps of everyone ahead of me and a sandy track is starting to form on the beach and I follow it, just like everyone else. I find running on the sand okay just slower and I manage to pass a few in the female field and several of the solo runners. At checkpoint 3 (48km) I had asked for an Iced Coffee it was there. Checkpoint 3 is the White Elephant Café which overlooks the famous surfbreak at Prevelly and my whole family is there and the checkpoint is crowded. It’s lunchtime after all and people are enjoying the sunshine and views and watch the stream of people running past. Earlier I had run past a couple of surfer dudes sitting on a bench overlooking the ocean. I overhead them talking ,one said “there are people running 80km today, that’s 2 marathons!”. I smiled to myself and ran on. Well over halfway now but so much sand running to go. It’s 14km to the next checkpoint Ellensbrook and there some respite from the beach but still lots of sand and rocky path to negotiate and again the trail is overgrown in parts but it’s still fun running. I get thirsty again and fill my water bottle from a water tank I see. I think it must have been near the Meekadarabee Falls. I get to the checkpoint and as planned change my top and again empty sand out of my shoes AGAIN. It’s the last checkpoint for the day and if I am to finish under 10 hours and claim the large wineglass I want I have just over 2 hours to do it and I know that’s achievable. I’m still running when I can at a good pace but the terrain and the soft sand is my undoing. The course is undulating rocky in parts and I trip and fall , face planting in the brown dirt, I must be quite a sight. I swear loudy and a LOT and a guy comes along and helps me up, asking me what I am doing down there. He had heard me swear apparently the whole South West heard me. I’m okay nothing seriously wrong and I continue on and we strike up a friendly banter. We negotiate some stupid rocky cliffs (or it feels like a cliff) and keep going. Finally we leave the beach behind and by now I realise I am not going to make my 10 hour goal. I am somewhere on the gravel road when another female solo runner says “there’s goes the big wine glass’. It was 5pm and we were no where near the finish line. I mention that I had that goal too but we are in good spirits. I see that she is not in my age category as she passes me and I comment. She is 39 though she tells me. It’s okay I say I’m 47. Finally we can hear the commentary at the finish line. There is about 1km to go and we climb over a fence into the vineyard and private property. Another woman had passed me but I don’t know where I am in the field or my age category either. I decide to not leave anything to chance and figure I have to run I catch her and I’m running faster we ease up the hill, through the gate and I have to slow for a car so I can cross the road. It’s downhill, across a ditch, seriously a ditch now in the last 100m. I leap across and as I do a couple of kids spot their Mum behind me. She can’t be far. I run through the finish line keeping my place in the field. Luckily I did as I finished 8thfemale and 3rdin my age category. Rapid Ascent are really generous with prizes for podium finishes in the age category and I am very happy with 3rd, the female I passed in the last 1km was also in my age category. I take home a bottle of wine and some beer and cidar from the Cheeky Monkey Brewery and Killerby Wines and a USB rechargeable Black Diamond Headlamp which is perfect for short night runs and a neat medal for my collection. Rapid Ascent do a great job organizing events. If you’ve run the Surf Coast Century you will be familiar with the format for this race. While the Margaret River course does not appear too challenging as it doesn’t have significant elevation gain it certainly makes up for that with the sandy beach and rugged coastline you negotiate along the way. The views are spectacular though and the West Coast is far less built up so you get a real appreciation for the rugged beauty of this coast. I made sure I looked back often and I was treated to an amazing surf break at Gracetown. I also needed water at Gracetown and refilled my water bottle from someone’s garden tap. There are many places to stay within an easy drive from the start and finish line. Yes it’s sandy but don’t let that deter you. 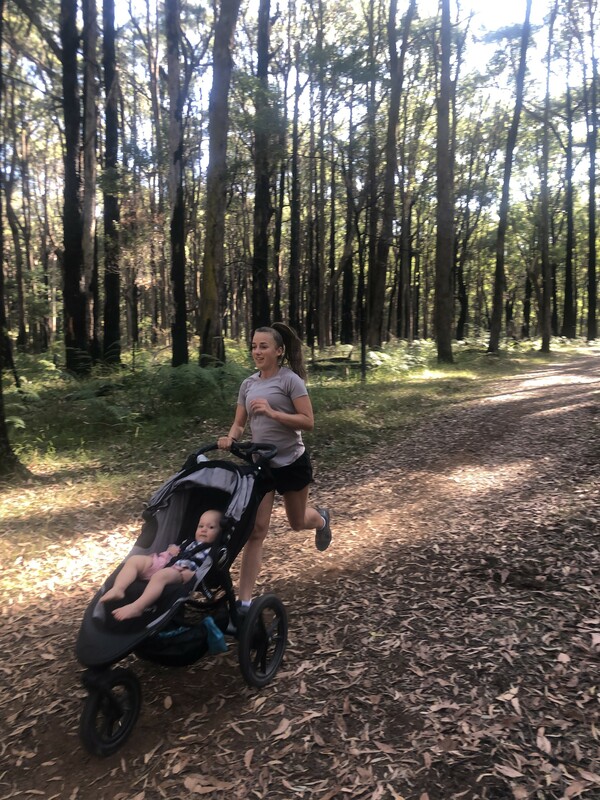 There is so much to do in the region for the whole family they can easily duck of to do something more interesting while you are out running all day. You can find out more about the Margaret River Ultra marathon here.